The outspoken chief of the local police union has laid the blame for the Portland Police Bureau's chronic understaffing at the feet of the city's populace — and its elected government. 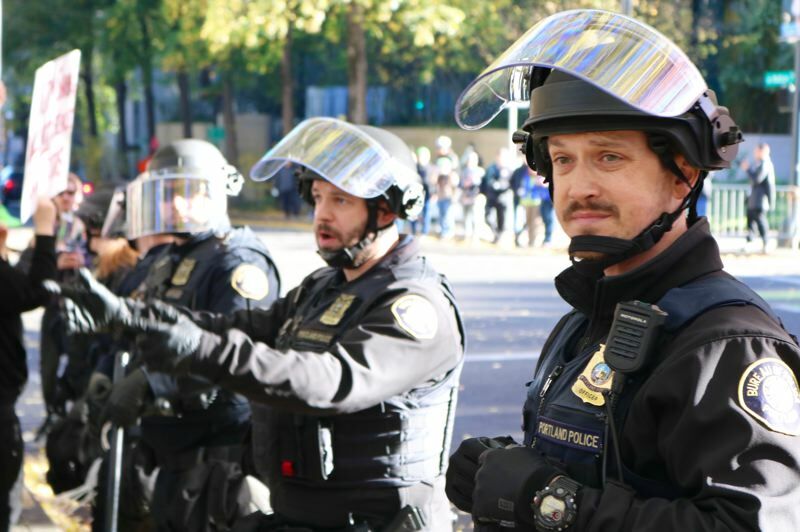 Daryl Turner, president of the Portland Police Association, charges that a proverbial flock of "unsupportive" policies have come home to roost at Portland City Hall. "The reason the Police Bureau is experiencing catastrophic staffing shortages, drastically declining recruiting success, and the inability to retain officers is due to one core issue: the intense anti-police sentiment in our City that City Council seems to share," Turner said in a Monday, April 8 statement. While under-the-microscope scrutiny of law enforcement tactics is nothing new in Little Beirut on the Willamette, recently-revealed data paints a stark picture of a rapidly emptying police bureau. 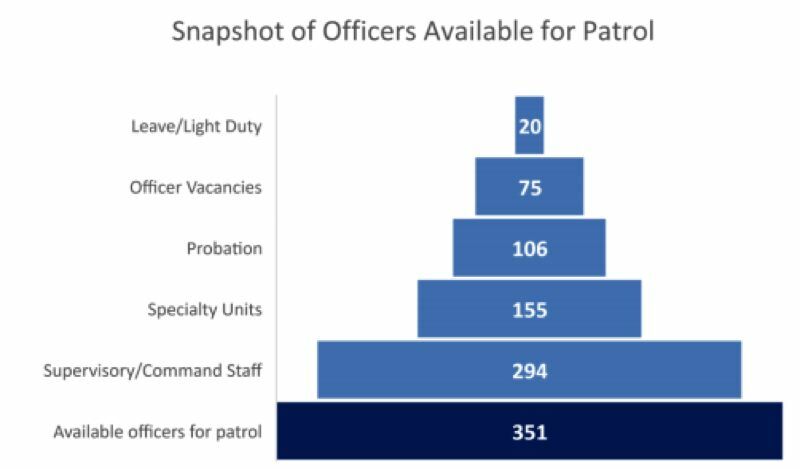 At the tip of the iceberg: the City Budget Office reports that Portland has 120 vacant officer positions that need to be filled. The shortage of beat cops comes as the bureau is flooded with a rising number of calls for service. Call volume increased 25% over the last five years, according to the budget office, primarily driven by "disorder" related calls. The end result is that officers are scrambling to respond to 55,000 more calls this year than in 2013-14, but with roughly the same number of police officers. For context, the total sworn force for the Portland Police Bureau, including the current vacancies, is equal to 1,001 full-time positions. Of these, about 351 patrol the streets, while another 294 are in command or supervisory positions. Twenty are on leave or assigned to "light duty." So far this year, police have hired 22 new officers, which is significantly less than the past two years. The budget office expects another 30 to 50 retirements later this fiscal year. "Attrition has exceeded hiring and the bureau has a net increase of sworn vacancies," according to the budget report released in March. Part of the problem is the relatively long gap between applying to join the force and the actual date of hiring — the lagtime was 340 days on average at last count — and the fact that, due to federal law, police officers can't also be users of legal-in-Oregon marijuana. So who's really to blame? Turner castigated Mayor Ted Wheeler by name, saying he only praises police until controversy rears its ugly head. "False narratives, knee jerk political reactions, along with personal and political agendas have created a hostile work environment and made it an impossible task to effectively police in the City of Portland," Turner wrote. "Our police officers are frustrated. They deserve better." In a statement, Mayor Wheeler's office agreed that the ongoing challenges of recruitment and retention had left officers "overburdened and overworked." "While as police commissioner I will continue to hold the Bureau to the highest possible standard, I will also do everything in my power to support them," Wheeler said.